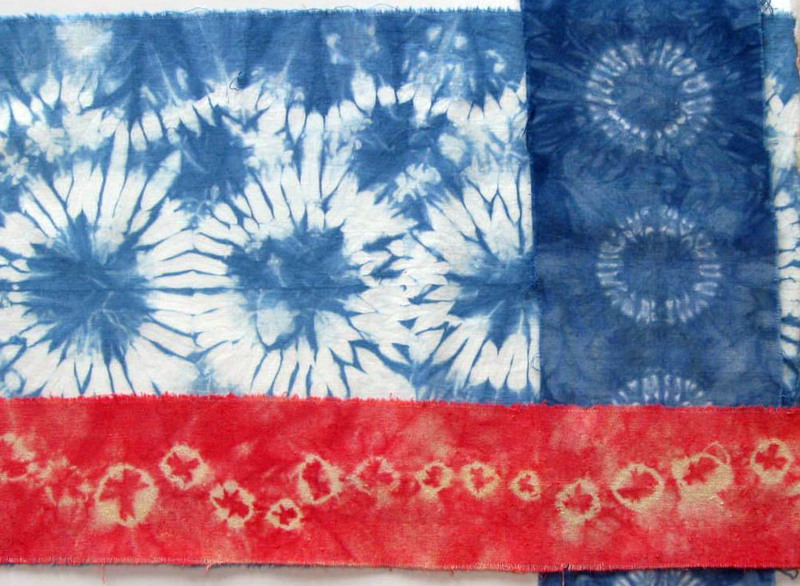 I've been asked by the Riverbend Fiber Arts Guild to do a presentation on Shibori. I'll be presenting it at the July guild meeting, tomorrow, July 7. Shibori is a shaped resist dye method that is practiced all over the world by artists, dyers, fiber and quilt artists. My presentation includes a bit of history about shibori and the characteristics that make it unique and appealing. I'll also have some fabric examples of various shibori techniques, my bog jacket that was published in Belle Armoire, and my entry in The Power of the Pocket exhibit that won Judge's Choice Best of Show at the 2010 Riverbend Fiber Arts Guild Challenge. Visitors are invited! The guild meeting is held at Sr. Neighbors, downtown Chattanooga, and it starts at 11 am.